<Get more work – get on the app! One of the Worcestershire’s leading hair salons has appointed two new apprentices as part of its expansion plans. 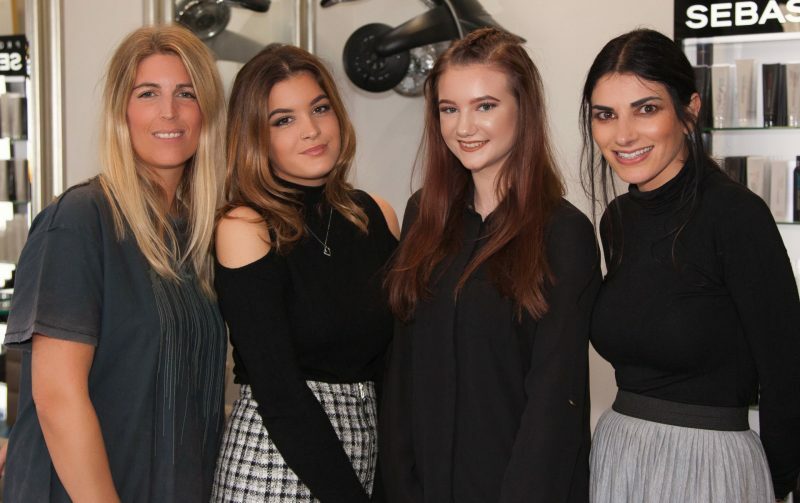 Bewdley-based salon Duce & Romao, which this year celebrates its sixth anniversary since opening in the town, has increased its team to six through the double apprentice hire. Kidderminster-born Sophie Knowles, 17, has joined the Load Street salon and will work alongside owners Laura Duce and Annabell Romao while also working through her hairdressing qualifications at Kidderminster College over the next 18 months. Also joining the salon is 18 year-old apprentice Bianca Southall. Bianca, from Bewdley, will also spend the next 18 months working and learning on the salon floor while attending a training academy in Birmingham to gain her qualifications. Laura Duce, co-owner of Duce & Romao said: “Over the past six years we’ve made it our priority to ensure we provide a first-class level of customer service to all our clients who come from across the region. The two new jobs are the latest in a long line of good news for the salon. In April Miss Romao became one of the country’s few Wella Master Colour Experts while for five years-in-a-row it has qualified for the regional finals of the Wella Trend Vision Awards. Miss Duce and Miss Romao, both from Wyre Forest, opened the salon in 2010 at 35 Load Street after a £60,000 investment. The salon, which offers hair styling and colouring, is also a stockist of Label.M, Cloud Nine and Wella products.